Rolling Stone: Springsteen on Never Ending Tour? 1. The Australian tour is part of a separate tour in support of a new album. This to me makes the most sense. We already know Bruce has been in the studio and working on new material. This makes both myself and the author of the article think back to the start of the Working on a Dream tour in 2009. Bruce was just coming off of a 2007-2008 tour and then comes out with a new album and hits the road again in 2009. My money is on this point. 2. The Australian tour is merely a quick one-off series of shows. An Australian promoter claims that this tour is a "one-off" series of shows and that the band will visit "no other countries." I do not buy this one at all. 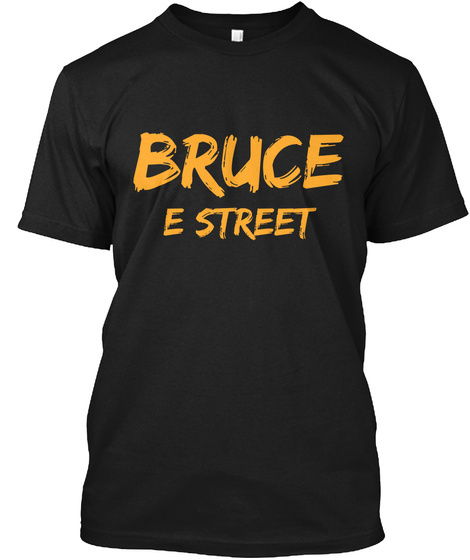 I can't see Bruce doing, as of now, eight shows in 2014 and then packing it up and going home. Especially if he releases a new album from now until the start of the tour. If we hear a new album announcement, there will for sure be more shows. This could sadly in reality happen but Bruce remember, the last US show was in 2012. After seeing a great European 2013 tour, it's time to tour the US at least as well in 2014. 3. Bruce Springsteen & The E Street Band are now on a Bob Dylan-style never-ending tour. I could actually see this happening. Bruce knows that there shows have highly praised by anyone who has seen the boss this past tour. Why stop? I don't think they will be touring constantly but I don't think you will see a five year break from the band. This of course can only happen if the band is healthy and wanting to stay out on the road. It can for sure be tough. I know Elton John always has tour dates scheduled. He takes a month or two off from time to time which I can see Bruce doing. Take a few months off and then hit the road again. Doesn't necessarily have to be with the E Street Band ever. I just don't see Bruce sitting at home twiddling his thumbs waiting for demand to rise. Bruce is always writing and maybe now can be "always" touring.